NYC, 02/26/2019, 7:00PM. 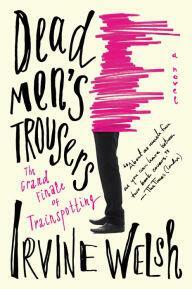 Dead Men's Trousers: The Latest from the Author of Trainspotting. A spectacular return of the wild, dissolute gang from Trainspotting, from the author Irvine Welsh, who the The New York Times called "Blisteringly funny.... "
The gang from Trainspotting have mostly cleaned up their act ... until they are drawn back together to Scotland for one last scheme -- a scheme one of them won't survive. It's an action-packed, hilarious and rollicking trip, as well as a moving elegy to the crew.